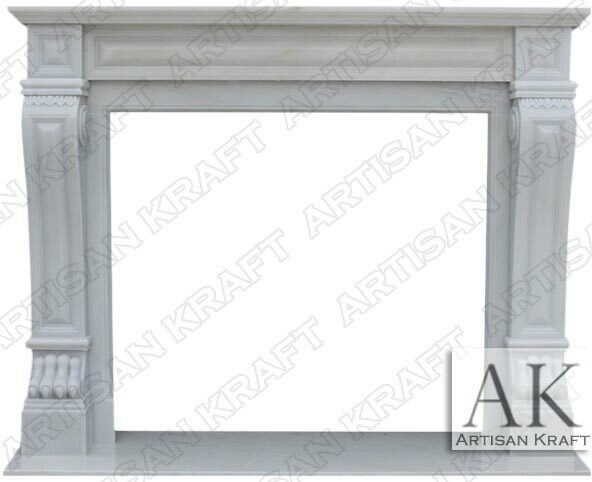 Italian flair mantel in the gorgeous Volakes stone imported from Greece. 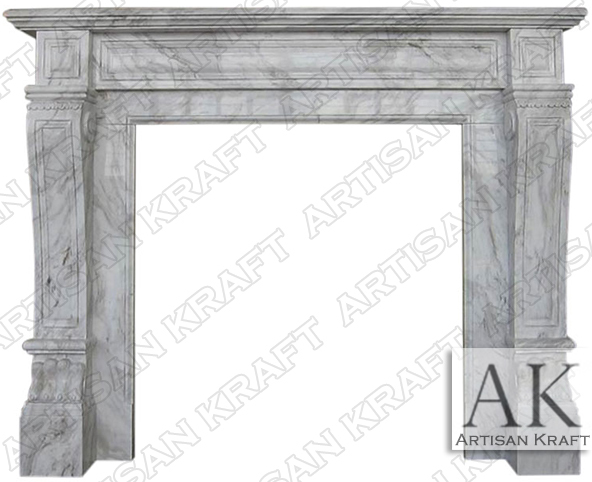 Marble mantel is polished. Decorative carvings are hand carved details. 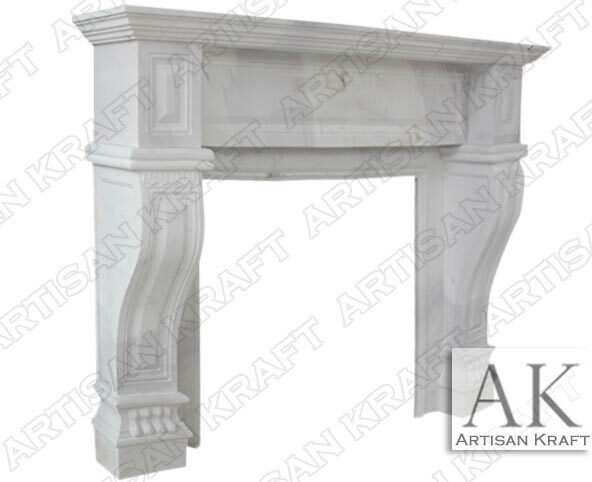 Italian fireplaces have stately corbel legs as are seen in this photo. The lion paws accent the corbels. Available to ship in 1-3 weeks. Beautiful fine floral carvings with great details. A classic Italian floral design surround. Comes with inner panels and hearth. Very expensive and part of the Exclusive Collection.